I'm currently feeling very autumnal and what better way to embrace that I thought, than with a themed eBay haul - because you know how much I love eBay! 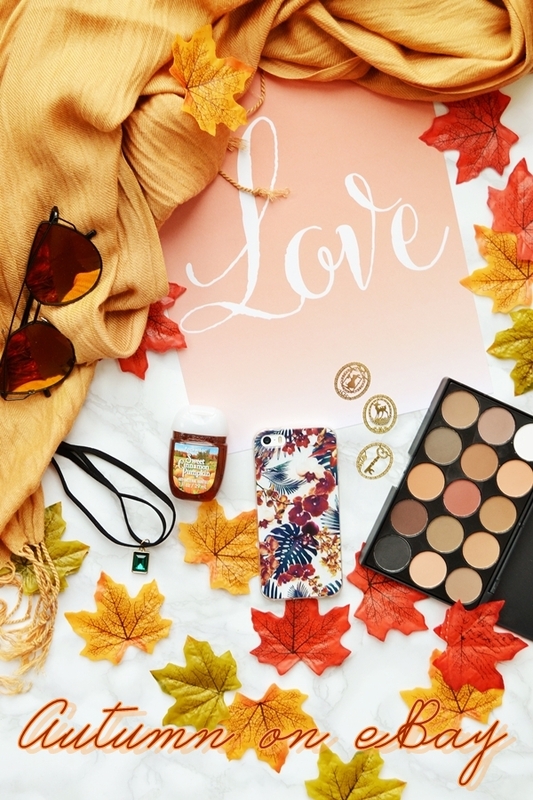 Below I've included my favourite recent buys that suit the new season to a tee - from a new fall PocketBac from Bath & Body Works to an ultra cheap matte eyeshadow palette and a set of pretty bookmarks for only 99p! Me and my phone case obsession! Or should that be me and my eBay phone case obsession. 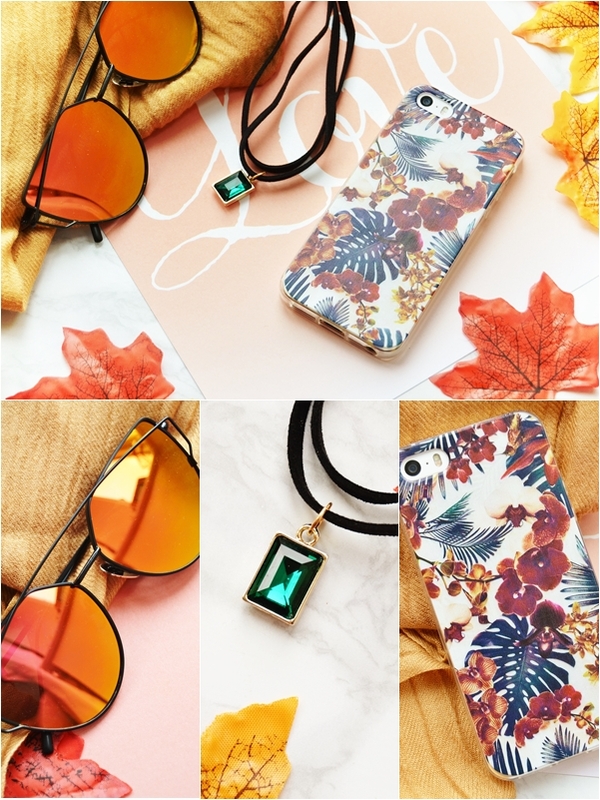 As phone cases from eBay are soooo cheap (I normally spend between 99p-£2.99) I like to update them often, especially come a new season, so I went on the hunt for a new autumnal case and found this beauty! This mixes my love of palm print with deep burgundy orchids that aren't stereotypically autumnal but the overall look is very on-trend for the time of year. Really pleased with how this looks and the quality! I'm still with the choker trend and my favourite place to buy them from is eBay (the listing contains so many styles!) as they are totally inexpensive - generally 99p. This is one of my favourite recent buys as it's lovely quality and I love the green emerald style pendent; very The Craft and 90's style. This will be perfect to wear in October. If you enjoy my eBay hauls then you may know I picked up these sunglasses in rose gold (post here) a few months ago and loved them! So I decided to get another pair with these amazing red/orange mirror tint lenses and now I'm not sure which I love the most! These definitely are much bolder with the black frames and bold red/orange tint and look pretty amazing quality for only £2.37 delivered - the tint really is amazing how it changes in the sunlight. Basically I love these! Sunglasses can be worn in Autumn, right? Ahh, Bath & Body Works, how I love you so. It wouldn't be a new season for me without a new PocketBac, as silly as that sounds, I just love seasonal scents and how handy they are for your bag. This is sadly out of stock but with listings updated constantly it will come back in, along with other amazing fall scents. Along with keeping your hands cleans the scent has notes of cinnamon and spice to it all very autumnal... I also love the look of the packaging and orange gel. Glad I picked up a new one up! Now I bought this just for one eyeshadow believe it or not (the top swatch) as I was wanting a matte brown-y red shade. However when this arrived I went and loved all the shades! For £2.99 this really such an affordable palette and surprisingly good quality - as you can see the eye shadows are nicely pigmented. There are so many shades I can't wait to use here, especially as they are all matte. 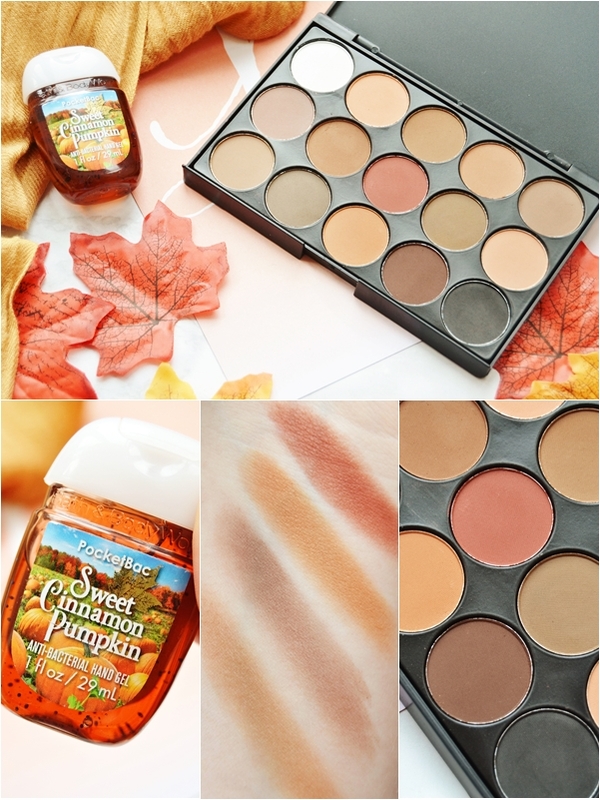 Perfect if you are looking for a new autumnal palette but don't want to spend too much money. One of my favourite buys from eBay this month! I had to include the prop I used as if you're a blogger or love crafts you may want to pick these up for autumn! Ideal for in blog photography or even making your own autumnal garland with. Super cheap! You can also find some faux maple leaves here for 99p but they are from China so you will have a bit of a wait. How these can be only 99p for 6 and free p&p I really don't know! I'm just amazed! As you can see these are absolutely lovely and so detailed. Each some is individually wrapped so they are ideal for giving as little gifts while of course keeping some for yourself. 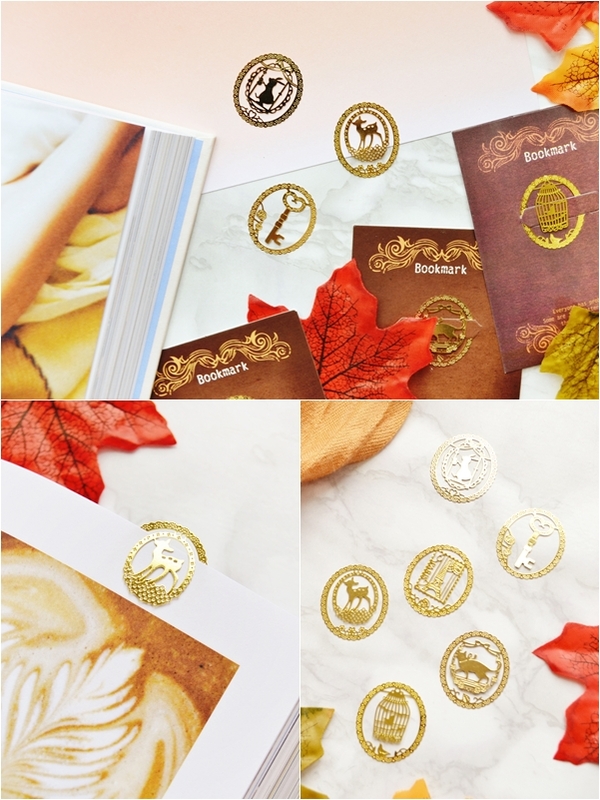 The 6 clip bookmarks include - a deer, birdcage, a cat, a key, a little stamp of the Eiffel tower and a rabbit. These are just so precious and perfect for book lovers! Lastly I had to include the scarf that I used as a prop as although I've had it for many years it is from eBay and was incredibly cheap. These lovely pashminas come is a huge range of colours (I sadly couldn't find the exact colour) and for the price are pretty lovely. Perfect for autumn! I think I may pick up a maroon or burgundy one very soon. Hope this has put you in the mood for Autumn and you've found a few bargain buys to treat yourself to!